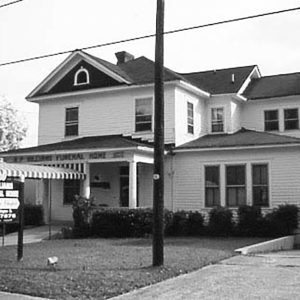 The A. P. Williams Funeral Home was built between 1893 and 1911 as a single-family residence. In 1936, Bessie Williams Pinckney and her son Archie Preston Williams II converted part of the building to a funeral home with a residence on the second floor where they lived. Archie Preston Williams II was a leader in the city’s black community who ran for election to both the Columbia City Council and the state legislature in the 1950s. He was an officer in the Columbia Chapter of the NAACP for 22 years.